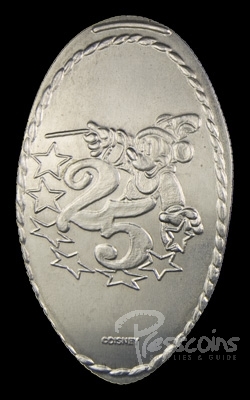 On October 1, 1996, Walt Disney World kicked off a 15 month celebration to commemorate their 25th Anniversary. 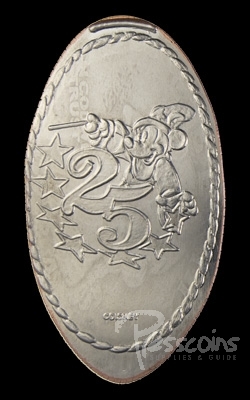 As part of this celebration the very first commemorative pressed quarter series appeared at Disney World. 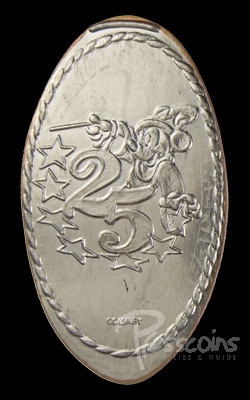 This series consisted of 14 quarters located in the Walt Disney World resorts and 10 undated Sorcerer Mickey quarters located at the 3 Disney theme parks. Evidently, the Simba quarter that was at the All-Star Sports resort developed a crack in the die and was replaced with a different die. 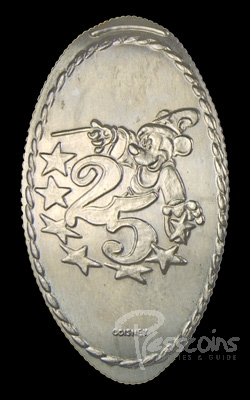 For the 10 Sorcerer Mickey variations that have been identified, there were only 9 known locations that had this design. 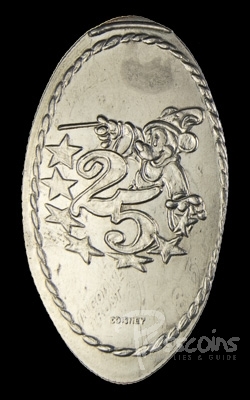 Unfortunately, there are no known lists matching which Sorcerer Mickey variation came from which location. 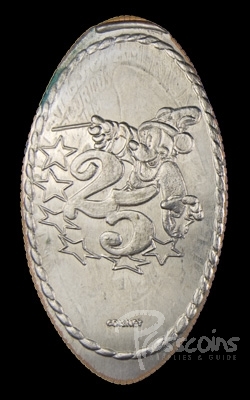 An excellent commentary regarding the pressed quarters from this celebration was received by Presscoins.com from another collector and can be read by clicking here.